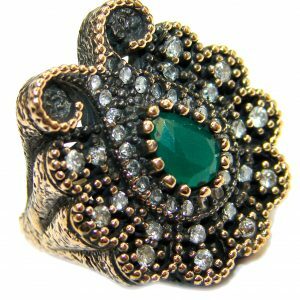 An emerald and diamond ring is one of the most unique pieces of jewelry a woman can hope to have, a combination of two of the world’s most fascinating gemstones. 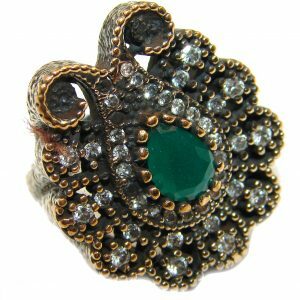 Emeralds complement diamonds more than any other gemstone perhaps because of its regal history and striking green color. Incidentally, prized emeralds can sometimes even be more expensive than diamonds in terms of weight. As a standalone gemstone or in combination with diamonds, an emerald plays a major role in a majority of jewelry collections that include not only rings but pendants, bracelets, and earrings as well. Remember the famous suite of diamond and emerald ring, necklace, bracelet, earrings, and pendant designed by Bulgari for Richard Burton which he gave to Elizabeth Taylor in the 1960s? 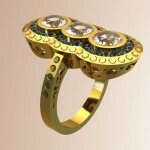 The ring alone is estimated to be between $600,000 and $800,000! But Taylor, of course, wore it stunningly, just as Cleopatra, who was portrayed by Taylor in a film, did when she was the toast of the Nile. 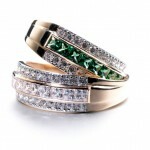 A new crop of emerald diamond rings are setting a trend as engagement rings. Halley Berry wears a flawless and textured, four-carat Colombian emerald flanked by a diamond on each side from husband Olivier Martinez. Olivia Wilde, meanwhile, wears one of the most unique emerald and diamond ring designs: with a round-cut diamond in the center, her engagement ring is surrounded by a “halo” of emeralds. 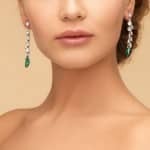 Van Cleef & Arpels, Parade Design, Langerman, Danhov, Blue Nile, Yael Designs, Sylvie Collection, Michael John Jewelry, and Mark Schneider are the best jewelers to have created engagement rings with emeralds as the center stone. Without a doubt, choosing to have an emerald diamond ring for an engagement as a less expensive, albeit just as stunning, alternative to the ubiquitous diamond can be interpreted as doing things out of the box. 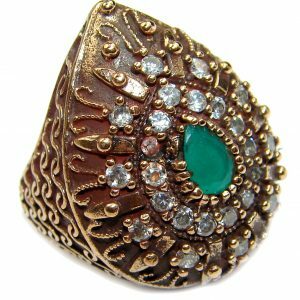 But before you consider this green gemstone, be aware of several factors that determine whether an emerald will be suitable for your particular requirements. 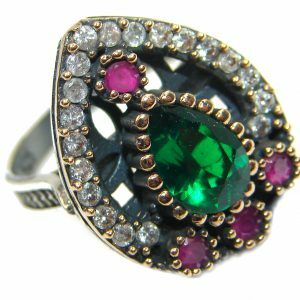 From the lightest to the deepest of shades of green, emeralds, which are not heat sensitive, can also come in the color red, albeit rarely. An emerald’s refractive index – the measurement used for quantification of the amount that a light beam is bent in certain materials – is placed between 1.57 and 1.57. 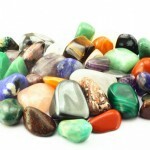 Light that goes from one material or density, like air, into another, like a gemstone, bends or refracts. 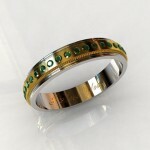 All emeralds have flaws or imperfections, known as inclusions in the jewelry trade, which are natural for them to have. 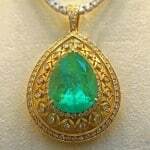 It is very unusual to find an emerald that is free from these inclusions. Unfortunately, inclusions, which give emeralds their deeply rich and vivid green color, make these gemstones susceptible to chipping, breaking, and cracking, although there are emeralds without fissures. While most of us are familiar with how diamonds are priced and what the range of these prices, not many of us have the same awareness of them for emeralds. 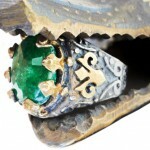 An emerald’s carat price rapidly escalates with its size. Three carat emeralds mined in Colombia, for instance, have a price six times that of three one carat emeralds sourced from the same Colombian deposits. Emerald valuation depends largely on color but is in consideration of hue and saturation as important factors that affect the gemstone’s overall price. Bluish green with strong to vivid saturation in a tone that is classified as medium dark is the most expensive kind of emerald. And while clarity is essential in emeralds, inclusions are more tolerated in these gemstones than any others such as diamonds. Emeralds are considered a “Type III” gemstone by GIA which means that they are virtually always included to one degree or another. Because of this designation, a clarity grade of “very slightly included” for example, refers to the normal range for emeralds, not for all gemstones. Well over 90% of the emeralds in commerce have been treated with oils and epoxy-like, hardened resins to minimize the appearance of inclusions. Emeralds up for “treatment” are immersed in colorless resin or oil using vacuum chambers to help it penetrate the gemstone. While this treatment improves an emerald’s appearance quite dramatically, it also requires that special methods of setting and cleaning it are complied with. Solvents, ultrasonics, and steam cleaners are used to remove oil and make inclusions stand out. Inclusions can reduce an emerald’s structural integrity. 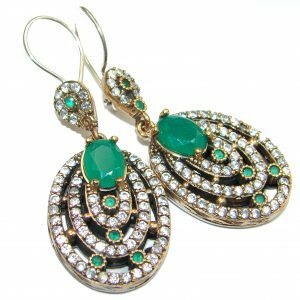 Unlike its beryl cousins, emeralds are considered more fragile in general because their inclusions have made them become so. 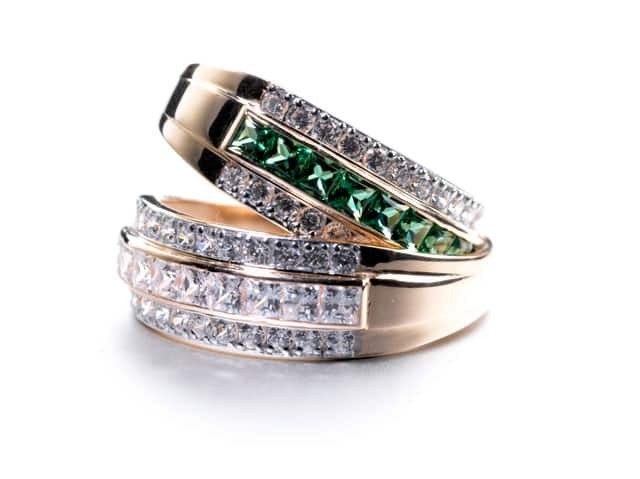 Imitations of emeralds, sometimes referred to as “lab emeralds,” however, can be as hard or as soft as the materials they are made of such as beryl triplets, glass, synthetic spinel or cubic zirconia. Contrary to what some jewelers might say, an emerald with diamond ring settings can withstand the wear and tear of normal daily use. Remove them when washing your hands, applying lotion or handling cleaning chemicals. Emeralds might have the tendency to be fragile but when well-maintained with fracture fillings or oil, then there shouldn’t be any need to worry about wearing them every day. 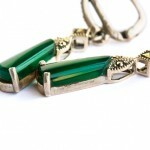 Emeralds have long since been the epitome of green precious stones. 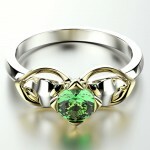 The woman who is “different” and not confined by tradition will certainly choose an emerald for an engagement ring. You probably didn’t know that Jacqueline Kennedy Onassis had an emerald and diamond ring when she was engaged at a time when purely diamonds were de rigueur in engagement rings. Now, she was some woman, right?